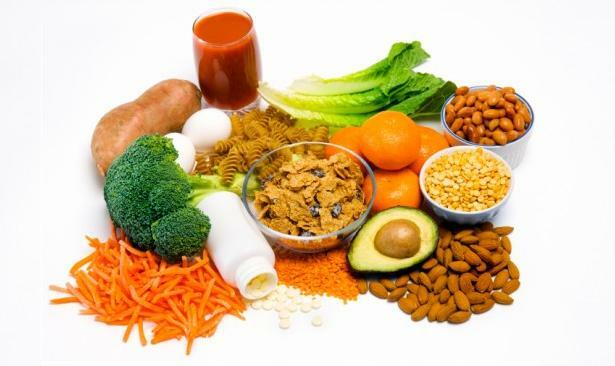 Folic acid, also known as vitamin B9, is one substance that should not be excluded from your daily diet. It has countless benefits and studies have consistently proved that it is necessary for a healthy diet. Not only does it prevent the likelihood of depression or birth defects, it also protects the body against Alzheimer’s disease and some types of cancer.Thankfully, there are lots of foods that are rich in folic acid. Below, we list the most popular 20 foods high in folic acid. Check it out! Folic acid is present in grains, but foot items made from grains have even more quantities of this beneficial substance. This is because folic acid is added to grains when they are processed. One slice of bread contains an average of 60mcg of folic acidwhile companies now add folic acid into their breakfast cereal brands. You have to be smart about which pastas you are going to eat. If you are looking to be healthy, opt for whole-wheat pasta. On average, one cup of pasta contains 100mcg of folic acid. This pasta is also a great food choice for pregnant women as it is filling and healthy. Eggs are loaded with protein and vitamins; they are a very healthy choice and contain less than 100 calories. Eggs are great for babies and even for adults because of their versatile use. To have your daily dose of folic acid, keep a few boiled eggs in the refrigerator or include eggs in your meals a few times a week. There is a very generous amount of folic acid in cooked lentils–about 180mcg in just half a cup, making it one of the foods high in folic acid. They are also a great source of protein and vitamins. Cooked lentils are considered to be super healthy; pregnant women are specially advised to eat plenty of lentils in their meals. These are the foods you don't want to miss when looking for foods high in folic acid. The healthiest choice for those who need folic acid would be lima beans: one cup includes 156mcg of folic acid; while one cup of black-eyed beans and kidney beans contains 229mcg of folic acid. As for peas, the best option is green peas because they contain 101mcg of folic acid in just one cup while split peas include 127mcg of folic acid per cup. These are foods that can be added easily into most dinners. Eating seeds and nuts is a great way to ensure folic acid intake. You may choose to eat them raw, to cook them up, or mix them with other foods. Either way, you are getting a good amount of folic acid. Most people already eat a lot of almonds and peanuts, but you could also add in sunflower seeds in your diet. Not only do leafy vegetables like lettuce and broccoli include vitamins, they also include a lot of folic acid. People add their leafy greens into other food mostly, but they can be washed and served as a daytime snack or midnight craving buster. One cup of asparagus is packed with 79mcg of folic acid. This is a very healthy item and can be added to healthy lunches or dinners with your family. Although children always turn their noses up at broccoli, it has been proved repeatedly that it is very healthy. In one cup, there is about 104mcg of folic acid. Broccoli also contains plenty of iron, calcium and fiber. You just can’t say no to broccoli! Another vegetable despised by kids is the brussels sprout! It contains folic acid along with the benefits of vitamin A, C and K.
Although cauliflower is popular for containing large amounts of vitamin C, it also has plenty of folic acid packed inside. Eat one cup and you will get 55mcg of folic acid. Adding cauliflower to your daily diet is simple–just add some to your salad or a lunchtime curry. Beets are popular because they cleanse the liver, but the benefit we’re looking at is that one cup of beets contains 136mcg of folic acid! How impressive! One cup of corn provides you with 76mcg of folic acid. It is a great addition to normal lunches and salads, although the canned versions should be replaced with healthier, fresh corn. Celery is known for helping with kidney stones. It is also known for containing folic acid! One cup will give you approximately 34mcg of folic acid. It can be eaten raw, steamed or combined. Carrots are another vegetable rich in folic acids that can be consumed in multiple ways, making them a great choice for everyone. One cup of raw carrots contains 5% of your daily folic acid requirement. Whether you choose summer squash or winter squash, you will be choosing something healthy! Winter squash has more folic acid per cup than summer squash, approximately 20mcg more in one cup. Winter squash has 57mcg of folic acid whereas summer squash has 36mcg of folic acid. Citrus fruits come in a large variety, including oranges, limes, strawberries, raspberries, grapefruits and papayas. They are extremely healthy and contain big helpings of folic acid. Papaya is particularly generous with 115mcg per cup, which makes its way to our list of foods high in folic acid. This sweet-flavored fruit is a favorite of many healthy eating advocates. To make sure it is not overripe or not ripe enough, smell the fruit for its distinctive smell or tap its outer shell. Avocado has many benefits and doctors recommend avocados for pregnant women especially. They contain folic acid as well as omega fatty acids. They are a source of healthy fats, which makes them a winner among people who want to eat healthy. If you love tomatoes and eat plenty of them, then you are getting a good amount of folic acid already. Extracting the juice from tomatoes means you are getting 48mcg of folic acid per cup, plus a lot of iron. This keeps your blood healthy and reduces the need for iron supplements. The table below shows the maximum amount of folic acid that one should take. In some cases, people may be taking more than the maximum limit to treat deficiency–only do so if your doctor tells you to.